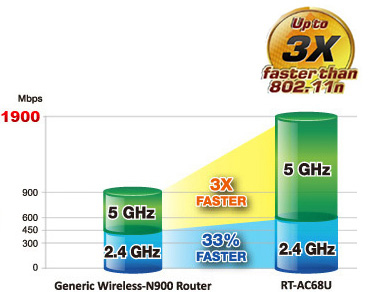 RT-AC68U supports combined dual-band data rates of up to 1900Mbps. 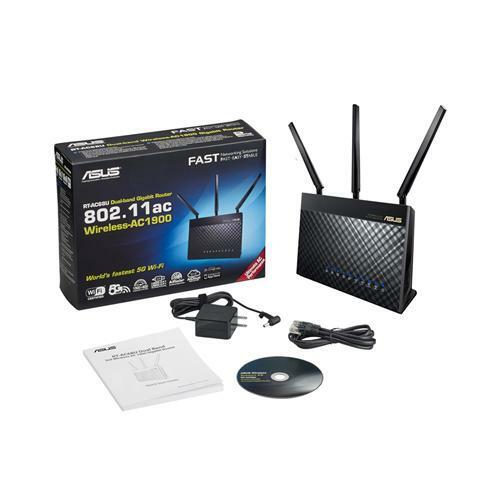 1300 Mbps 802.11ac at 5 GHz gives Gigabit wireless data rates, while Broadcom® TurboQAM™ technology super-charges 2.4 GHz 802.11n performance from 450 Mbps to 600 Mbps with compatible devices. 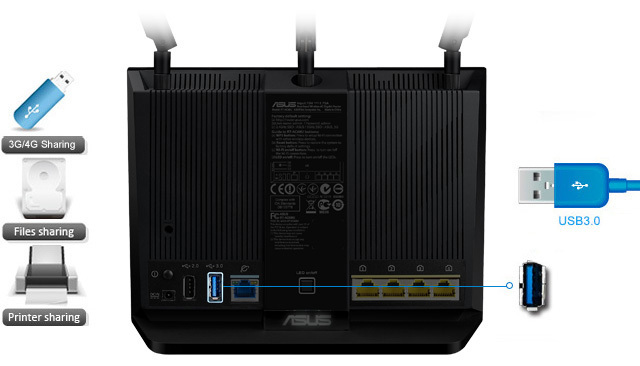 The easy-to-use ASUSWRT graphical user interface unlocks the power of the RT-AC68U giving robust control to optimize your network for you. 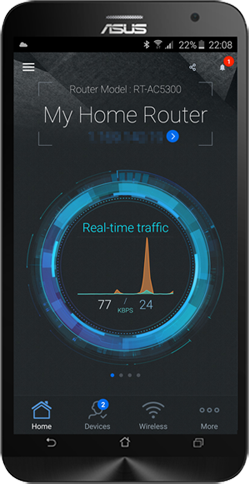 30-second set-up and easy traffic management means even network newbies can enjoy its sophisticated features, while power users will love its IPv6 support, multiple wireless SSIDs and encrypted VPN access. 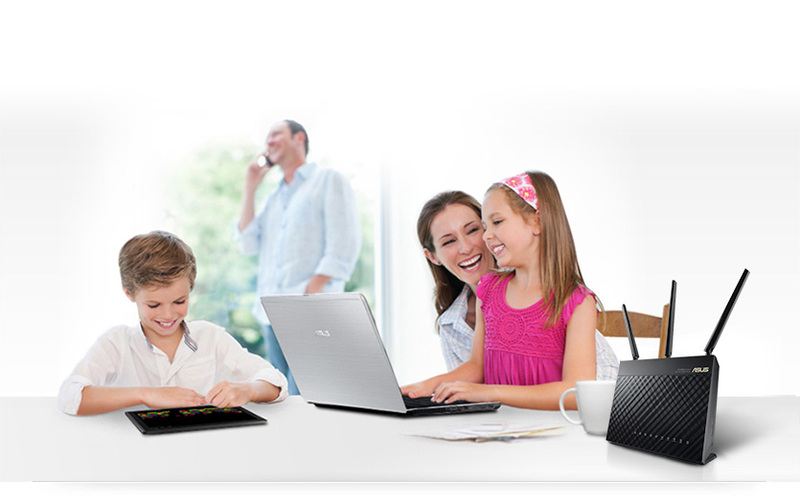 AiProtection, incorporating state-of-the-art, three-pronged security from Trend Micro™, provides advanced parental controls, blocks malicious addresses and intrusions for your PC or device, and alerts you if an infected device is connected. Potential weaknesses such as password strength and operating system vulnerabilities are also monitored at all times. 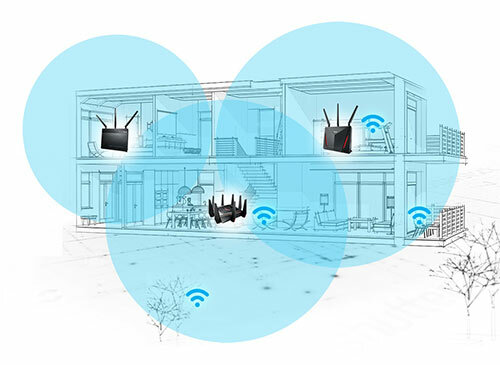 Moreover, AiProtection even protects Wi-Fi devices without an installable security program such as smart TV, game console, and smart home devices, giving you peace of mind. 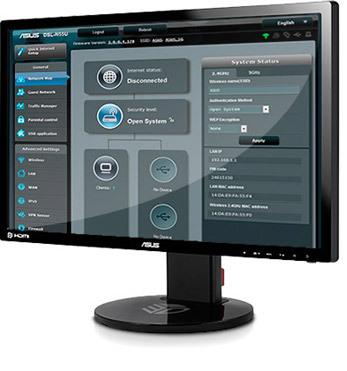 Learn more about ASUS AiProtection. Do you game a lot, or spend most of your time streaming videos? 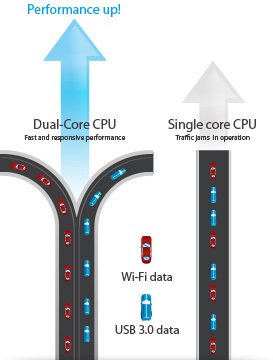 Whatever your planned use is, the RT-AC68U has Adaptive Quality of Service (QoS) that optimizes inbound and outbound bandwidth on both wired and wireless connections. 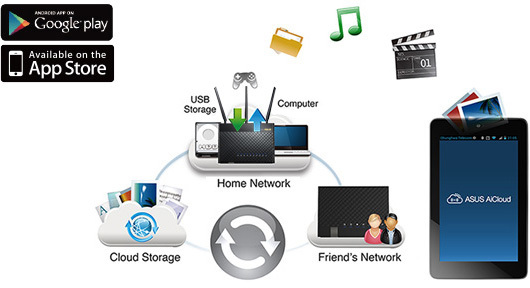 Applications and tasks can be prioritized easily using drag-and-drop presets for gaming, media streaming, VoIP, web browsing and file transfers. 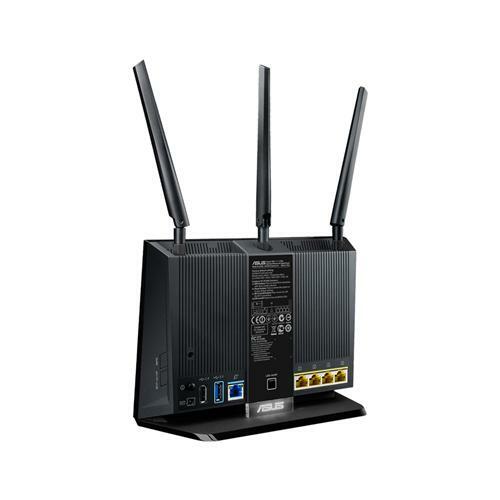 It supports major consoles including PlayStation®3, PlayStation®4, PS4™ Pro, PlayStation®Vita, Wii U, 3DS and Xbox One. Try it. 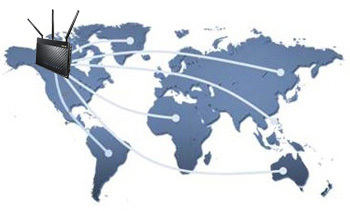 Easily set up a VPN server to browse the web and access data with MPPE encryption— no matter where you are. 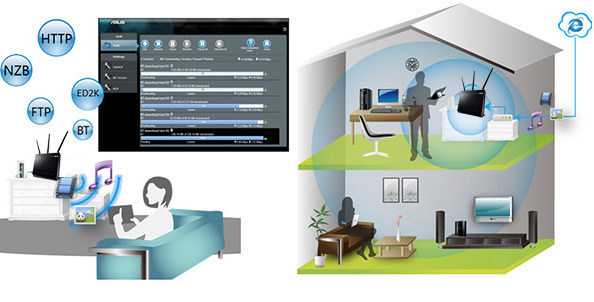 Check here for more detail about Facebook Wi-Fi. 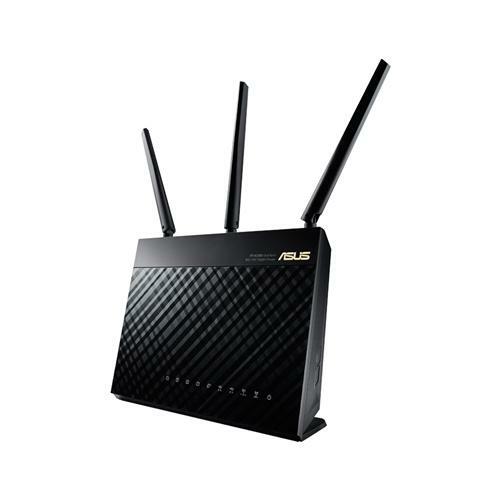 To activate Facebook Wi-Fi, please download the latest custom firmware here.